We've streamed a bunch of PlayStation-exclusives on PC, and the service works well. Is it worth subscribing? For me, the PC arrival of PlayStation Now—Sony’s streaming service built on the back of OnLive and Gaikai that grants players access to over 400 PS3 games— raises three fundamental questions: which PlayStation exclusives are included as part of the service? Is it worth the money? And, crucially, does it actually work? The Last of Us, the God of War series, and Journey are a few of the best included games that help answer the first question, and more games are coming over time. But your own Internet connection very much determines whether PlayStation Now is worth paying for, and if it'll work well at all. PlayStation Now requires a minimum connection speed of 5 Mbps. I’m pleased to report that while my connection isn’t a great deal higher than the prerequisite, I’ve been able to stream every game with minimum lag and/or dropped frames, and have been thoroughly impressed by the responsiveness of every game I’ve sampled so far. Load times can take upwards of 60 seconds to connect to a server which is a bit of a bummer, and the absence of a search feature within the main hub is a strange oversight (games are however handily collated in alphabetical order, publisher, genre and so on). Remote servers host games via 720p video streams running at 60fps, although it's worth remembering that, despite this, you're still playing PS3 games. 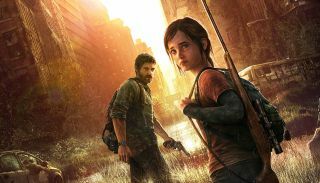 The Last of Us, for example, is the original PlayStation 3 variation and not the remastered 60fps PS4 one. As such, dropped frames, in my experience, were often due to games being hamstrung by last-gen technology as opposed to under-performing streams. Some games exhibited compression artifacts—groups of blurry pixels caused by reduced video feed bit-rates to facilitate streaming—however never to the point where it spoiled the games in question. Admittedly, these drawbacks aren't things that unduly phase me personally, but they're definitely worth bearing in mind before committing to the service. The introduction of scalable bandwidth is perhaps something that would benefit those with better connections too. I first tried the PS3 HD remake of Team Ico’s Shadow of the Colossus—one of the PlayStation’s most prized assets—and quickly forgot I wasn’t playing a native version. Alternating between my wired Xbox 360 controller and wireless DualShock 4 (the service supports most controllers and Sony plans to ship a $25 wireless USB DS4 dongle in September), I booted up The Last of Us and reveled in its superb opening chapter, before jumping into God of War 3 where I guided Kratos into his first battle against Poseidon. Given how well these games fared from a performance perspective, I was surprised to find the odd bit of macroblocking and the occasional stutter in Journey, and it was the only game were I noticed any degree of latency. The joy of wandering around its sprawling desertscapes while bursting into the air and surfing on sand dunes via my PC overshadowed those technical issues, though. Which, for those players who’ve already experienced these games before, is the exact desired effect Sony hopes to achieve here—playing on the novelty of seeing one-time console-exclusives dancing around on PC. There are however obvious drawbacks to this. Expanding its audience is clearly Sony’s main drive, but of the 400 games available on the service, the vast majority are already obtainable elsewhere, and the PlayStation exclusives are the service’s most appealing feature. For players who might’ve missed PS exclusives such as Resistance 3 or Ico or Heavy Rain the first time round, there’s a great deal of fun to be had, but for everyone who's played some of these games, the novelty may wear off quickly. At £12.99/$19.99 a month (the US and Canada can opt for a $99 per year sub) you’re given access to the entire collection—you’re not required to rent or pay for anything over and above the subscription—which is nice, but I’m not entirely convinced players will sustain subscriptions long-term once they’ve exhausted the PlayStation exclusives. Just over 24 hours into my seven day free trial, and I’m a lot less excited to sink more time into Uncharted 2, Hohokum or LocoRoco than I first was this time yesterday. Then again, while OnLive tried and failed to be the Netflix of games a few years ago, PlayStation Now is far closer to reaching that bar in its reliability and presentation. I also get the distinct impression Sony is playing the long game here, that perhaps this is the start of something bigger, that PlayStation Now in its current guise is but a taste of things to come as it grows its library of games into the future. The death of console gaming? Not quite, but the idea that cloud gaming done right could draw players away from the hardware isn’t unfathomable. So does it work? Again, my connection isn’t much higher than the minimum required speed and I’ve found little issue performance-wise. Is it worth it? One of the obvious benefits of streaming services is that you don’t necessarily require high-powered machines to make them work—the recommended specs can be found here—and PlayStation Now delivers on that front. If you’re new to PlayStation gaming and have a fast enough connection (and no data cap), PlayStation Now will add a host of timeless classics to your backlog for the price of buying two new games.